Seabourn is a decades-long leader in the ultra-luxury ship category. In 2019, the line’s extensive array of global cruise experiences will continue to set it apart. Operating a fleet of five intimate ships, Seabourn is known for its personalized service, exclusive culinary options (such as a partnership with chef Thomas Keller) and cutting-edge enrichment programs. The line is the official cruise partner of UNESCO World Heritage under a multi-year agreement to help promote sustainable tourism at World Heritage sites around the world. From Asia to Europe to the Americas, here’s why Seabourn is the line to watch in 2019. Seabourn’s presence will shine in Europe throughout 2019. The line will operate four vessels in the region: Seabourn Encore, Seabourn Quest, Seabourn Odyssey, and the new Seabourn Ovation. In total, it will offer 66 departures from 14 different ports. 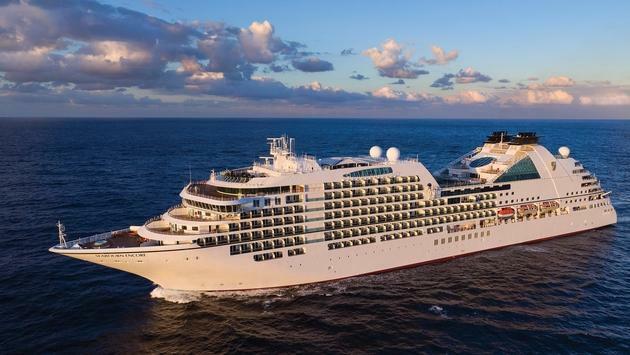 “There are so many ways your clients can tour Europe, but none as appealing as cruising the harbors and coasts on an ultra-luxury Seabourn vessel,” said Chris Austin, senior vice president for global marketing and sales at Seabourn. 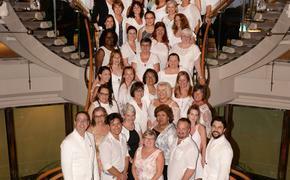 “With 30 years of history for our company, it goes without saying that Seabourn is an expert in European travel. Our four ships sailing in Europe in 2019 will offer desirable overnight stays, new and notable ports of call, and selected itineraries enhanced by special programming, including Seabourn Conversations featuring distinguished speakers and more." New ports and a return to others not visited in years mark the Seabourn Europe season for 2019. Port visits include Greenwich (London) and Cowes, Isle of Wight, England; Vik Sogn, Haugesund, Sandefjord and Fredrikstad, Norway; Durres (Tirane), Albania; Mgarr (Victoria), Malta; Amorgos, Greece; Dunmore East (Waterford), Ireland; England; Helsingor, Denmark; Dundee, United Kingdom and Motril (Granada), Spain. Highlights of the season include a 15-Day London to Reykjavik cruise aboard Seabourn Quest and a 14-Day Copenhagen to Copenhagen roundtrip aboard Seabourn Ovation. In the Americas, Seabourn is introducing a new pre-cruise land option in Alaska and British Columbia. The UNESCO Banff National Park & Rocky Mountaineer Seabourn Journeys package explores some of the most beautiful scenery on earth. Passengers will visit the Canadian Rockies and its crown jewel, the UNESCO World Heritage site of Banff National Park and stunning Lake Louise. The experience includes a two-day rail journey in a luxury, glass-domed coach. The UNESCO Banff National Park & Rocky Mountaineer Seabourn Journeys package is available on select voyages from Vancouver. Additionally, all of Seabourn’s 2019 voyages in Alaska and British Columbia will feature Ventures by Seabourn optional paid excursions. Experiences include guided Zodiac cruising and kayak excursions launched directly from the ship, as well as hiking and wildlife viewing. In the far East, Seabourn’s newest vessel returns to Asia in 2019. Seabourn Ovation will sail an array of exotic itineraries that explore the ancient heritage of Vietnam and Thailand and the urban skylines of Hong Kong and Singapore. Seabourn Ovation’s first season in Asia includes 14-day voyages between Singapore and Hong Kong. They include an overnight stay at Ho Chi Minh City, Vietnam. The cruises also spend an extended day at the UNESCO World Heritage Site of Halong Bay, Vietnam. Additional itineraries include a 14-day Gems of the South China Sea voyage from Hong Kong to Singapore. The cruise calls at Xiamen, China and features an overnight stay in Manila, Philippines. In addition to Seabourn Ovation, Seabourn Sojourn will also journey to Asia as part of its Extended Explorations voyages. An 18-day Singapore to Shanghai cruise visits Malaysia, Cambodia, Vietnam, and the People’s Republic of China including Hong Kong, as well as Taiwan, and Ishigaki, Japan. In the Caribbean, Seabourn’s first cruises to Cuba will be in the spotlight. The line will sail to the island nation from Miami and San Juan, Puerto Rico. The 11-, 12-, and 14-day sailings will explore five ports in Cuba. Each will feature overnight stays Havana, celebrating its 500th anniversary year. Cruises begin in November 2019.